Acclaimed military historian Trevor Royle examines Scotland's role in the Second World War. The country's geographical position gave it great strategic importance for importing war materiel and reinforcements, for conducting naval and aerial operations against the enemy and for training regular and specialist SOE and commando forces. Scotland also became a social melting pot with the arrival of Polish and eastern European refugees, whose presence added to the communal mix and assisted post-war reconstruction. In addition to the important military aspects - the exploits of the army's renowned 15th Scottish and 51st Highland Divisions in Europe and North Africa and the role played by the RAF and the Royal Navy from Scottish bases - Scotland was also hugely important as an industrial power house and the nation's larder. The war also had a huge impact on politics, with national centralization achieved through the creation of the Scottish Office and the Scottish Grand Committee. With the emergence of the post-war Labour government and the welfare state, nationalism went into decline and the arrival of socialist hegemony, especially in the west, paved the way for the command politics which dominated Scotland for the rest of the century. 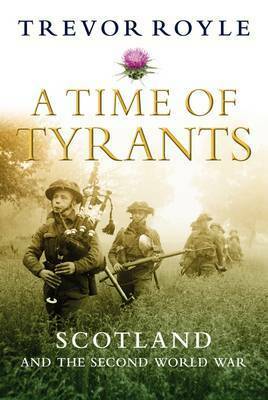 Based on previously unseen archives in the Scottish Record Office, A Time of Tyrants is the first history of the unique role played by Scotland and the Scots in the global war to defeat Nazi Germany and Imperial Japan.